Autumn has arrived … although you’d never know it here at SA’s sunny North Coast. While towns and cities further inland are starting to feel the first crisp turn in the air, it seems no one has sent the message to Umhlanga yet. We’re revelling in hot summer days, lush green jungles, and clear skies that stretch all the way to the distant horizon, where they dive into the rolling ocean and tumble into infinity beyond the line of sight. Summer’s height had its furnace, and that has passed. Now we ease lazily into Autumn’s amber glow with long, slow, languid days and blissful evenings, kissed by Fall’s zephyrs and soft sea-salted mists. It’s the perfect time to visit. South Africa - and Durban in particular - is blessed with sun, scenery, sea ... and a Rand so low that our international visitors can enjoy a more luxurious holiday (and finer dining) here than almost anywhere else on earth. Jet-setting business execs love to use Anchor’s Rest as their home-away-from-home when they fly in for business. Conveniently close to their airport and the major business hubs in both Durban North and Durban Town, Anchor’s Rest is an oasis of calm on a busy business trip - a luxurious place to unwind and recharge. But if you’re not in town for business, (or if you have a gap between meetings) there is so much to see and do while you’re here. 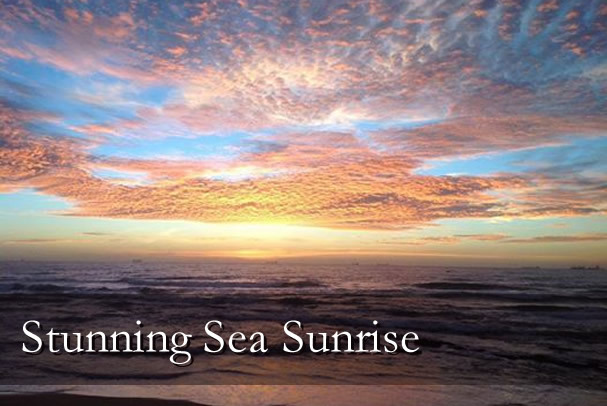 The beautiful ocean sunrises that greet each day make the perfect backdrop to an invigorating run on the beach. 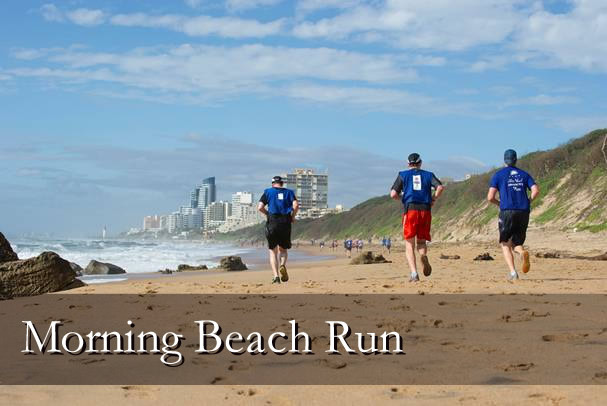 Chase your workout with a delicious breakfast on the beach and you’ll know for sure: you’ve woken up in heaven. Umhlanga’s beach is ideal for walking along the promenade, or catching the waves with your surfboard if you’re that way inclined. For the tamer at heart, a walk on the pier is a balm to the soul, connecting you with the ocean and all of a creation. The Gateway Theatre of Shopping is just a short drive away, and offers all the entertainment you can imagine - shopping, movies, beauty treatments, eateries and more. Natal’s Sharks Board is even closer. What an experience! Learn all there is to know about our local shark life. These majestic creatures are quite beautiful to watch, and the Shark’s Board has a range of activities and information to show just how incredible sharks can be. Not far away, the upmarket Suncoast Casino beckons gamblers and fun-seekers alike. 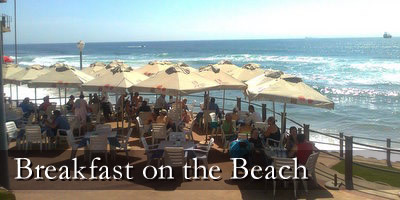 Replete with a range of casino options, and some of the finest eateries in Durban, as well as movies and direct access to the beach, Suncoast makes a wonderful destination for an evening out. 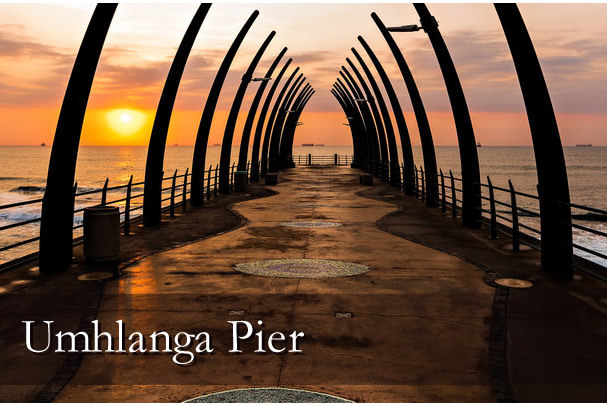 Peter and I have lived in Umhlanga since it was a charming seaside town, long before it became the cosmopolitan metropolis it is today. We know it inside out, and we’d love to help you plan your outings while you’re here. Just give us a call on +27 (0) 31 561 7380, or visit us at http://www.anchorsrest.co.za/, and we’ll make your stay one to remember.